Forest Tribe - What is it all about? Forest School started in Scandanavia in the 1950 and by the 1980s was an integral part of schooling in Denmark. It started as teaching children about the natural world in a way that gave children experiential learning in their local woodland. These learning experiences help to develop communication, confidence and practical skills, as well as a greater understanding of the environment. Forest Tribe encourage children to spend time developing thoughts and experiences and focuses on the whole learner. Through active learning, we can tap into all learning styles and can encourage each learner to take thier own risks and make thier own judgements. Learners are encouraged to feel safe, respected and valued. It is our ethos to build on skills in small steps, once the learners have developed trust, then Debbie will introduce advanced skills such as tools use with close supervision. 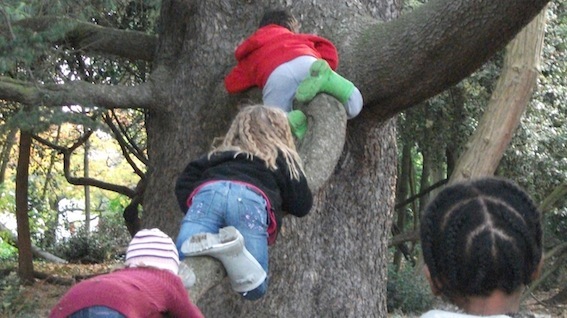 'Forest School is an inspirational process that offers children, young people and adults regular opportunities to achieve, and develop confidence and self-esteem through hands-on learning experiences in a woodland environment' (Forest Education Initiative).